The Care Quality Commission recently issued their report on the State of Care 2015/16 contains some very disturbing conclusions and paints a challenging picture of the year ahead in terms of meeting the nation’s care needs. The report highlights some interesting statistics: since 2010 nearly 1,500 care homes have closed and the number of beds available fell by almost 20,000. In the same period that number of beds in nursing homes has increased by a similar amount and domiciliary (home care) services have increased in number by 47%, to over 8,500. However, from 2012 to 2016 the number of people unable to be discharged from hospital due to a lack of social care availability saw a 70% rise, to nearly 185,000 per year (an 11% increase on the previous year). From these statistics, we can see that there is trend towards service users having increased needs (the shift from residential to nursing care) and a boom in the demand for home care services (whether this is driven by choice or due to local authority budget cuts). Despite that, no doubt partly because occupancy rates were at 91% in the first quarter of 2016 (the highest since 2010), it is alarming that so many people are unable to leave hospital due to a lack of available care. There is also a worrying and increasing trend of private care providers handing contracts back to local authorities, because they are no longer financially viable. We hope that the Department of Health will embrace the CQC's recommendations before a crisis hits. 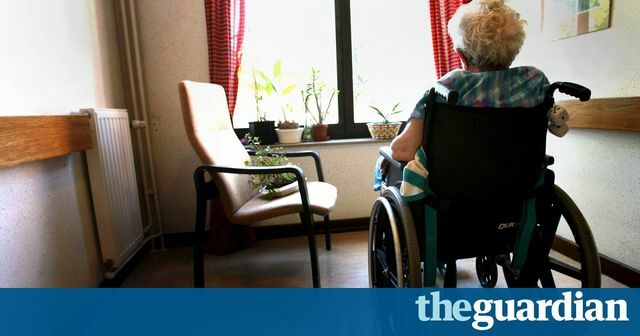 The many people who rely on care homes and receiving help in their own homes with washing, dressing and eating could be affected if more and more of the private companies that dominate the market go out of business, the CQC fears.